Sherrie Scraps with passion: A Standing Ovation..just for you! I cut a black mat and then chose pattern paper from Paper Pizazz for the background. Then, with foam adhesive I adhered this cute octopus from PPPR in place. I added a border along the bottom with a SU punch and the cute sentiment is My Creative Time's~Many Greetings stamp set. I finished my card with some fun skittles from my good friend Carri at DoubleClick. Love love love this!!! I loveeeeeeeeeeeee that octopus!!!!!!!!!!!!! 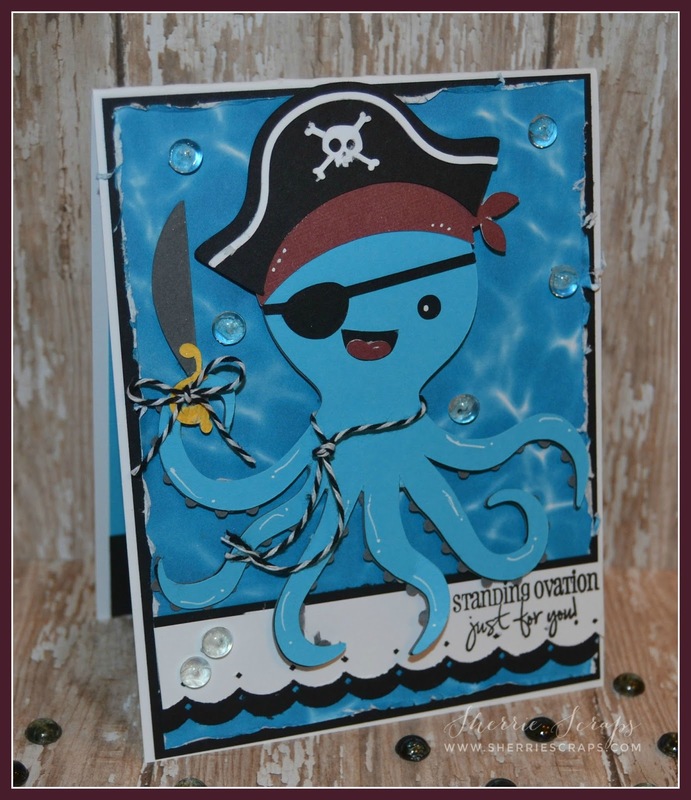 That is one handsome octopus pirate.... love the blues on him! What a super adorable card!! Have a great day. 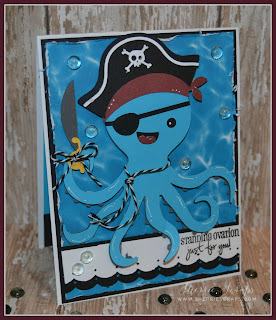 Super cute card, the octopus pirate is such a cutie! Hope you're having fun! This is super duper adorbs....you always do an amazing job with cut files! This is fabulous girl! I LOVE that paper you used for the background! I hope you're having a blast and a half in Mexico! Soak up the sun and make sure to bring some back to MN with you! 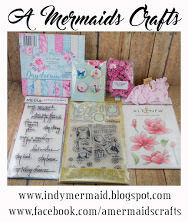 Thanks for linking up for the Pretty Paper, Pretty Ribbon Shiver Me Timbers Challenge! Super, duper cute. Love the octopus. Corbin would love this card. 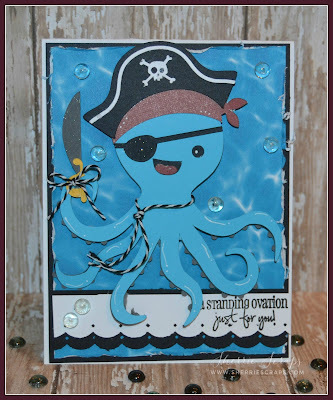 Sherrie,Your Card is so cute,Always enjoy seeing your creations. Have fun on your vacation. I'm getting ready to leave for work. Blah! I love the background paper...Super fun!The octopus is just way too cute for me..lol! Sherrie, this is way too cute!!! Thanks for sharing with us at PDE Linky Party. Super fun card! I love the water paper and this octopus is the sweetest! The sequins and borders are perfect, too! Great job with the challenges! Super cute Sherri, love that back ground paper, looks just like water, too cute, thanks for joining the challenge! You got a lovely blog. Super cute Sherrie! That is the cutest octopus ever! Oh so adorable! Love the fun octopus and the great background! LOVE this little card and what you did with the PPPR file. 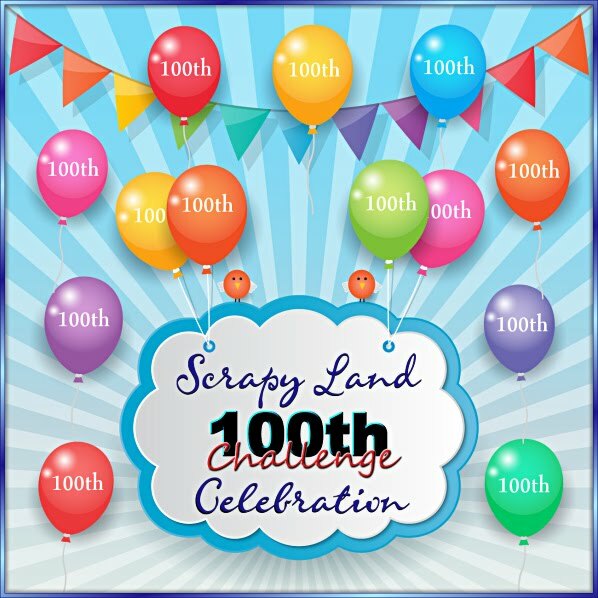 Thanks for playing along with our Shiver Me Timbers Challenge! This is just such a perfect card - love the details, the twine, the skittles - makes it come together so wonderfully!! Thank for linking up with the Shiver Me Timbers challenge at PPPR!! SO darling! I have my Cameo out trying to learn it better- when my DT is up, I am going to take it easy and use unused stamps and product.... : ) I have so much uninked and unused....! Looks like your vacation was fabulous! How super adorable is this!!!! LOVE LOVE LOVE your card!!! Sherrie ~ Oh my this is so darn CUUUUTE!! 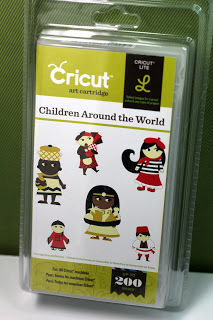 LOVE that file and then the design of the card too! FABULOUS creation as always! Aww, this is soooo cute!!!! 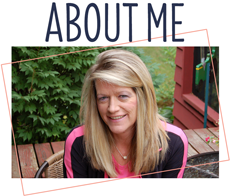 This is just adorable, Sherrie! Thank you so much for joining us for our Shiver Me Timbers Challenge! Oh. My. Cuteness. 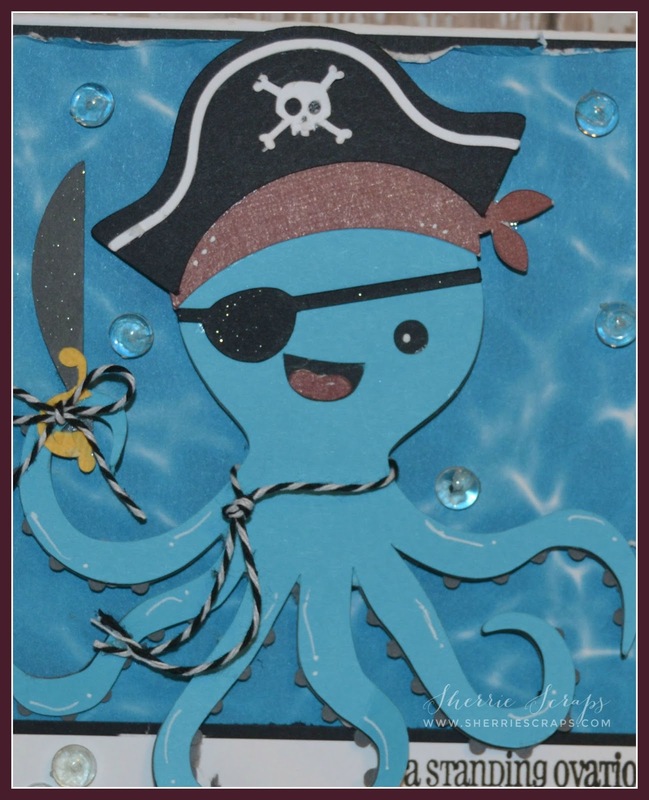 This is just the sweetest, cutest, most adorable little pirate octopus EVER! Love,love, love this cutie!